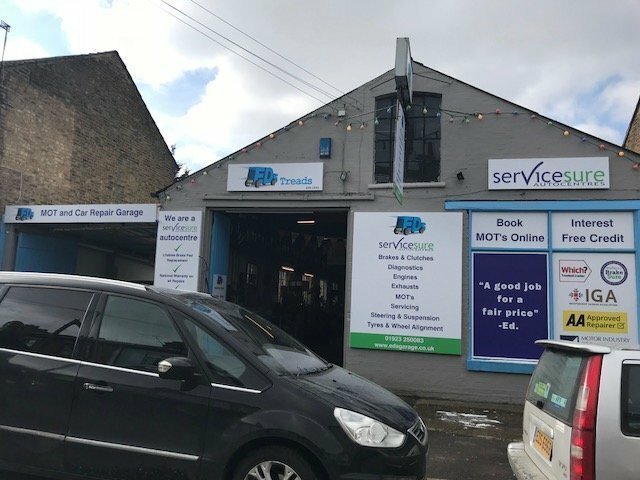 Your first stop for vehicle care branches in Watford, Hemel Hempstead and Aylesbury. We provide a wide range of garage services including servicing, MOT's, tyres, exhausts, brakes, clutches and laser wheel alignment. Many services can be carried out while you wait or we can provide you with a courtesy car upon request, allowing you to get on with your day. Our highly trained staff are courteous and we always go the extra mile to keep our customers happy. Appointments are not necessary although feel free to call your local branch if you have a query. We look forward to being of service. Very impressed with Ed's. Very honest people. Will defo go back. 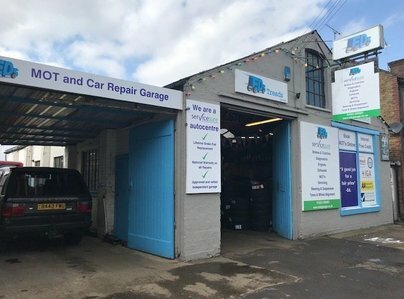 Open seven days a week - always there to help, nothing too much trouble. My wife and I have used Ed's for many years and always found them to be very helpful and efficient no matter how large or small the service needed. Good website as it allows appointments to be booked at the weekend for Mondays, great appointment availability. My diesel car just needed EGR valve cleaned up, instead greedy staff recommended to replace the unit itself costing me 300 pounds, later I realised this job could be fixed for less than 50 quid. They don’t give honest opinion as they want you to go for the max costing solution because of their rip off attitude. Not Happy, I will never go again. We are sorry to hear your are unhappy with our service. However given the same situation again we would do exactly the same thing. Nissans manufacturers guidelines insist that the part be replaced and not cleaned. If we had gone against manufacturers guidelines and just cleaned it, you would have been back in 4 weeks with the same problem as the condition of your valve was irrevocable. We actually tried to save you money by getting you a cheaper valve for £158 rather than going through Nissan where the part alone would have cost you £411.74. plus the £228 labour giving you a complete total of £639.74 which is more than double than what we charged you. We only added £7 profit onto the valve we fitted, and you would have had the same labour charges if we cleaned or replaced the valve therefore we had no reason to get you to spend the maximum! Your request to do the job without charging VAT without a receipt was declined as we work above board. I'm sorry you are unhappy but you did not fall for anything, we were half the price of what Nissan would have charged you and you received a good job not just a temporary fix. In the end the choice was yours, we did not proceed with the work until we had your go ahead. We do not rip customers off, we would never advise customers to get work done that is not needed. We pride ourselves on a good job for a good price and want to succeed through good work and recommendations. I've used Eds for all my family cars for eight years and have never had any problems. Always polite, competitively priced and eager to help. Highly recommend Ian as he is has always offered advice and is always cheerful - a valuable asset to Ed and his business!